General Membership: this category is open to any Australian resident medical, health, fitness and wellness professionals, researchers and policy makers with an interest in weight neutral practice as well as to members of the public who wish to assist with furthering the promotion and adoption of the HAES Principles in Australia. Members in this category do not have organisational voting rights and are not eligible for management committee positions. Verified Provider Membership: medical, health, counselling, fitness and wellness practitioners and training providers who use an exclusively weight neutral approach in their practice in Australia are invited to apply for HAES Australia Verified Provider status. Of the $45 fee, $25 goes towards your general membership and $20 towards the verification assessment process (non-refundable). Verification assessment occurs annually to ensure the accuracy of the HAES Australia listings. ​Verified Providers are eligible for HAES Australia management committee positions and have organisational voting rights. Student Membership: current Australia-based full-time and part-time university students (from all disciplines) with an interest in Health at Every Size and weight neutral approaches are eligible for this membership category. Student status must be verified by emailing your confirmation of enrolment to haesaustralia@gmail.com after you have lodged your membership application. Student members are not eligible for management committee positions and do not have organisational voting rights. Medical Professionals: General Practitioners and medical specialists who are HAES-curious may join for free but do not have voting rights or eligibility for executive positions. We encourage fat-friendly GPs to join as Verified Members so your services can be listed in our directory for prospective clients. We strongly encourage all HAES Australia members, regardless of membership level, to be concurrent members of the Association for Size Diversity and Health (ASDAH). Medical Professionals - Free Subscription period: Unlimited Medical professionals who do not wish to be listed as verified providers or have HAES Australia voting rights may join for free. You will be asked to provide your AHPRA number upon registration. Student Membership - Free Subscription period: 1 year No automatically recurring payments Membership for current students of any discipline with an interest in Health at Every Size and weight-neutral approaches. This membership level does not have voting or executive rights. Please email your confirmation of enrolment to haesaustralia@gmail.com after you have completed your membership application - thank you. 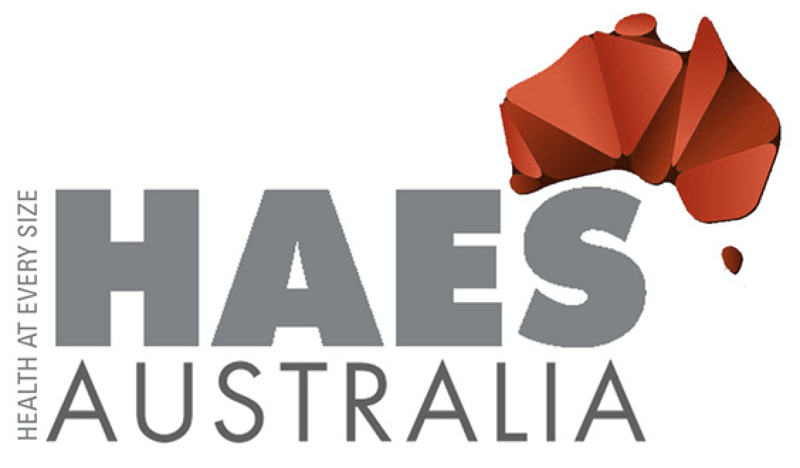 Use of the HAES Australia Verified Provider logo on your communication and marketing materials.